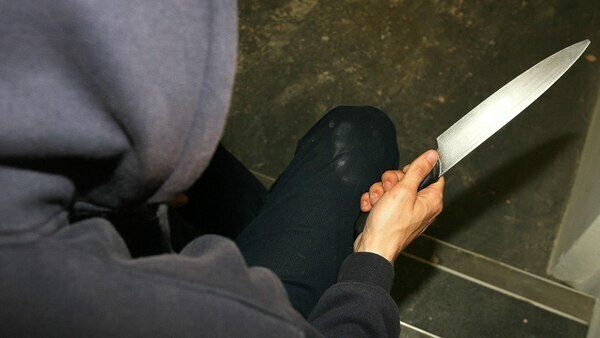 Young people living in squalor, carrying knives and machetes and dealing drugs. That might sound like something you hear from the inner cities of the West Midlands such as Birmingham and Wolverhampton – but the web is spreading to smaller county towns. Drug gangs in the cities are coordinating young drug runners to deal in smaller towns, a practice known as County Lines. "A county line is an urban gang which had identified a market to sell drugs in a suburban town,” says Detective Sergeant Jon Taylor, who heads up a team and works in the field fighting County Lines in Telford with West Mercia Police. "What they do is locate individuals to that certain town and they have a direct telephone line from which city they are based in direct through to the drug user – that’s the line. These are not your local drug dealers who may be well known in the area. Instead they are young people, mostly men, who are often exploited in the city into peddling drugs further afield in a town. It’s a practice with a violent knock-on effect. "The young people involved are the runners,” says DS Taylor. "They are in the town supplying the user with their drugs. They can be aged anywhere from 13 to 25 that we have seen. "They use vulnerable people and users who either have a dependency on drugs, mental health issues and various other reasons. They take over their address, it’s called cuckooing. "Like the cuckoo bird itself when it loses a nest it then moves onto another nest and take root there. It’s the same principle really. The drug supplier will move location as often as required to avoid detection from the police and they deliberately target a vulnerable person. "If I’m a drug user and I’m getting a free bag of heroin then I’ll happily let my property be used for drug supply. That’s the general model of how they supply the drugs. These runners appear to be befriending local children in their target towns, once again spreading the network deeper into the community. The National Crime Agency estimated in November 2018 that there are at least 720 County Lines operations across England and Wales, although said the actual figure may well be higher. In Telford DS Taylor’s team has made 40 arrests in the past year, with eight convictions which are County Lines-related. He says there is knock on effect from County Lines in terms of violent crime in towns like Telford which is caused by these runners who have been seen to carry knives and machetes by police. "You have the violence that comes with it because these particular runners will carry weapons,” he says. "They are prepared to use violence. They use it because of local dealers and if they get attacked by other people, they have to protect their commodity from being robbed. "They also carry a weapon for threats – so if they have someone who hasn’t paid them they want to stamp their authority. "It brings violence to an area that you wouldn’t already get because these runners are coming over with knives. But cracking down on these runners is a hard task for police. It’s not as simple as surveillance and arrest when tackle County Lines. "The difficulty from a law enforcement point of view is that it is an ever changing picture,” says DS Taylor. "The individuals that are here supplying the drugs today may be different to the people supplying them tomorrow and the next day. The line remains the same and the people controlling them from the city remain the same but the runners are always different. It is at these addresses that children are being exposed to dreadful conditions. Lucy Dacey is the Children Society’s Disrupting Exploitation Manager and she works out of cities across the West Midlands. "We have supported young people who are forced to go missing for weeks on end, required to carry drugs inside their bodies and often are filmed doing so,” she says. "This filming is then used for digital collateral which is then used to blackmail these young people and trap them further into this criminal exploitation. 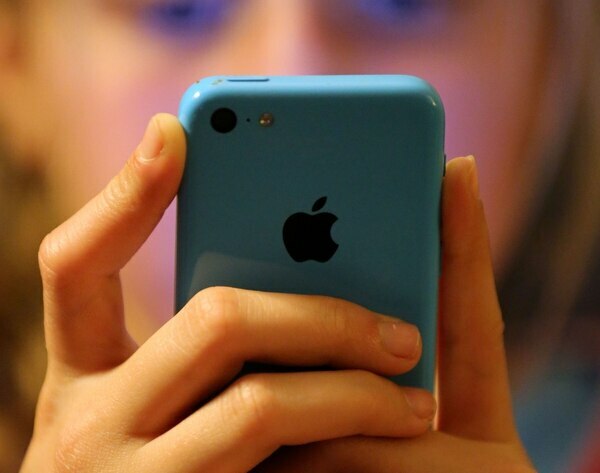 The young people are monitored on their phones to ensure they are always under the control of their groomers, even if they are miles away from them. "The conditions in the ‘trap houses’ these young people are exposed to are horrific. Op Ballet is the largest operation of its kind ever carried out in the region and last June saw West Midlands Police team up with West Mercia and Warwickshire forces to carry out a series of raids across the region and London. In total, Op Ballet has netted 75 suspected drug dealers believed to be involved in a total of 10 County Lines operating out of the West Midlands and the capital. West Midlands Police say they are working daily to try and prevent these young people from being taken in by drug gangs. While work is going into prevention is ongoing, once these vulnerable people are caught up in it, police say they do all they can to help. West Mercia Police Detective Inspector Steve Cook, who also works with the team in Telford, says that involves a great deal of work with other agencies. 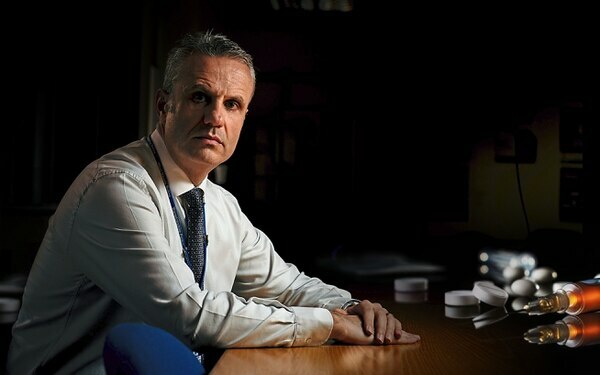 "Once we’ve identified that someone is vulnerable and that an address is vulnerable, the police can’t do everything, so we have local policing that would look to have a problem solving plan in place so we can look after those people, and then get partner agencies to come in and try and support people and safeguard them,” he says. "The difficulty is if they don’t want to talk to you. You approach these individuals and they are more scared of those that have been at the address because they feel if they tell the police then there will be retribution. But not all the young people involved are vulnerable and police say that some teenagers are happy to lead this lifestyle. 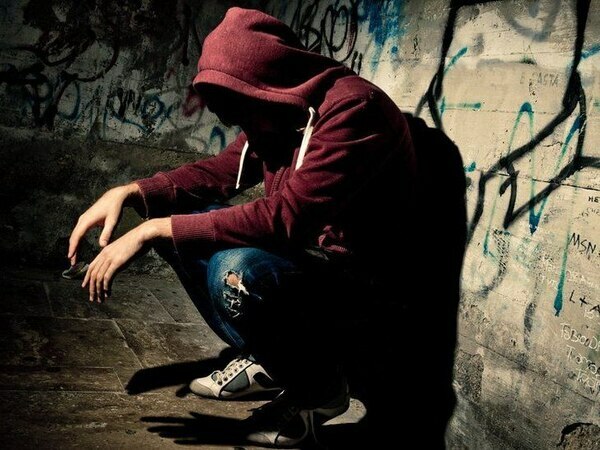 "Just because someone is 15, yes they are vulnerable in the sense that they’re a child, but a 15-year-old street wise lad from Wolverhampton or Birmingham is quite happy coming across to Telford and earning £300 a week supplying drugs,” says DS Taylor. "They like the buzz and being involved and they like the rewards. "Others are clearly vulnerable and don’t want to be here and are being forced to do it. The reason they are being forced is mainly because they are groomed into it. "They are set up to fail. A 14-year-old kid might get given 100 wraps of heroin or crack cocaine and get dropped off in Telford. What happens is they get robbed of all of their drugs and money. They then owe that drug supplier all of those drugs and money. But what is bringing these drug gangs from the city to smaller towns? "It’s simple supply and demand, they are here to make money,” says DI Cook. He believes society needs to change to stop wider drug use, including educating children and monitoring attendances, improving housing standards, unemployment and poverty. A young teenager with difficulties sits on his phone at home. Ping, ping, – ping the device chimes continually as alerts come in to show he is being contacted. Messages from Snapchat are coming through thick and fast. Some are from friends, some are from family, but there are also some with much more sinister intentions. "It was a message that was hiring young people,” says one of the lead field workers at the Catch 22 Wolverhampton Violent Reduction Team. Steve, who requested his last name is not used because of the nature of his work, tells the story of of a vulnerable 14-year-old who found himself involved in a County Lines lines gang selling drugs in towns. "They were hiring, and through one his his friends this young lad ended up meeting with a guy,” says Steve. The boy was offered between £500 and £600 per week to go to a smaller town in the Midlands and sell drugs. "All his mum knew was that he had taken a toothbrush and a small amount of clothes,” said Steve. The boy did what he thought he was being paid to do. He went to a cuckooed drug house and from there he began selling the Class A drugs. "He was only having one small meal a day, he wasn’t washing, he was dirty,” says Steve. This young man was surrounded by drug users and sellers all day and all night. When a week was up he returned home to Wolverhampton. "When he got back he was starving,” says Steve. The boy had been been excluded from school and it was during this time that he ended up involved involved in county lines, and when he approached Catch 22 for help Steve worked with him. "We got him back into school where he still is now,” says Steve. Steve worked with the boy to help him build for the future. "He never wanted to be a big and rich drug dealer,” adds Steve. "It was just a way to attain the things he wanted like nice trainers or a new phone. It was never a long term plan and he was lucky to be able to get out of it.